Following an introduction by Visit Scotland, Netflix invited Loch Leven Brewery down to Borthwick Castle for the International Press Launch for their blockbuster movie Outlaw King about Robert the Bruce. 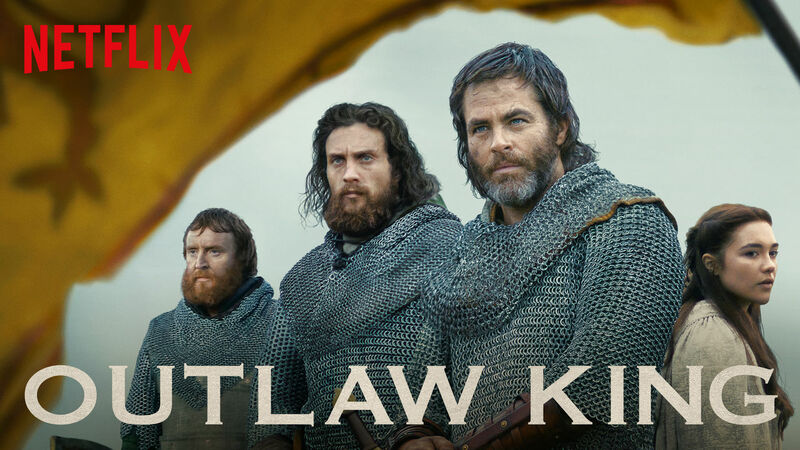 Fortune had been on our side as one of our 4 Great Scots beer brands happens to be Outlaw King and so Netflix were keen to capitalise on this by having Outlaw King beer available on the day. Jamie & Thomas travelled down to Borthwick Castle and set up a bar in the main hospitality tent where we handed out Outlaw King bottles throughout the day to actors, actresses, film crew and the international press corps. Sadly, we didn’t get to meet Chris Pine (who plays Robert the Bruce) because he had a non stop programme of interviews before being rushed off to the premiere in Edinburgh that evening. However, it was great to meet amongst others the wonderful Producer, Gillian Berrie, as well as actor Tony Curran who plays Angus Og Macdonald, Lord of Islay, in the film.